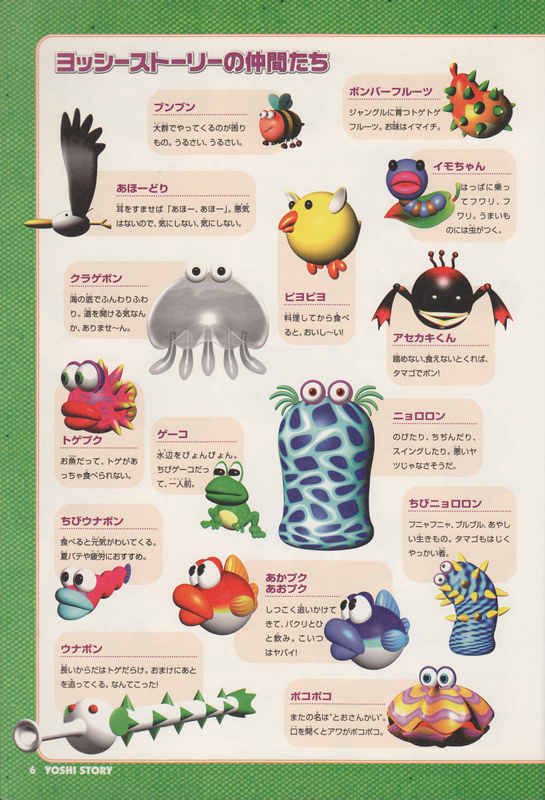 ComBats are enemies in Yoshi's Story. They may be found in the stages The Tall Tower, Neuron Jungle, Piranha Grove, Lift Castle, and Magma Castle. ComBats will attack any Baby Yoshi that gets too close and are immune to most things other than eggs. ComBats are black enemies with red hands and antennas. It has three antennae on the top of its head. They also have small limbs that connect their hands with their body, and yellowish lips with two small black eyes. This page was last edited on April 15, 2019, at 16:35.